These gorgeous tights are from Gipsy. They are soooooooo cosy you just wouldn't believe it. Great range of colours (just because it's cold, we don't have to be dull) so there is a pair in here for everyone. 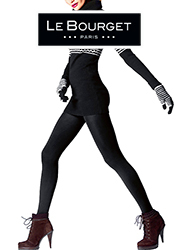 Go ahead, try something a little new today, you'll see how much fun your hosiery can be. Rating: 5 Really good opaque tights bought the Navy in Large, good fit didn't fall down despite being on my feet all day walking around a park ! 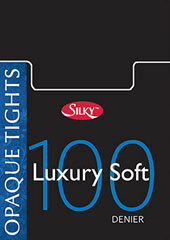 The colour was great and coverage was consistent, Great tights ! Rating: 5 Really nice and thick, good choice of colours. I bought Medium as per size guide and it seems OK - they stayed up well despite seeming a little long when I put them on. As long as they stay this good after washing, they’re great. 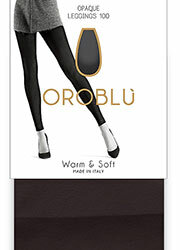 Rating: 5 These tights are fabulous, very true to size and the colours are lovely. I wanted tights that were different and could cover the tattoos on my ankles. These did not disappoint, well worth the price. Rating: 5 These tights are the best fit and most comfortable I've worn. I always go a size up, being tall means they fit better and I did that with these. Rating: 5 Good colours, nice and warm, very good service. Thank you. Rating: 5 Best Best Buy in a very long time. Superb fit and quality, colour exactly as shown. Rating: 1 Total waste of money. I'm 5 ft 2in so ordered size Small in two different colours and neither pair stays up - they are far too loose and not comfortable at all, as you have to pull them up constantly. Who took the 'tight' out of these tights?! Rating: 5 Excellent fit, gorgeous colours, can I buy more? Rating: 5 Excellent and warmer in the colder weather. Rating: 5 Excellent product, lovely colours and quality. Rating: 5 Very pleased with these, good colour and weight not too shiny so more flattering. I love them! Rating: 5 Big comfortable quality tights. I'm size 16 and 6 foot tall and they fit me nicely. Rating: 5 Bought these in Navy, very good quality good opaque finish and the fit was perfect with reference to the size guide provided.